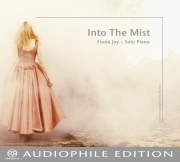 Fiona Joy brings her magnificent solo piano work to the world once again. On her recent release and 10th studio recording, Into The Mist, she reaffirms the status gained over the years. Fiona and her piano create some of the more prolific music an instrumental artist of her leanings could possible produce year after year. This is a difference this time however, this is an SACD and special audiophile edition. It was recorded live to Direct Stream Digital 256 Quad DSD. Using the 1885 Steinway Piano, Fiona brings the listener closer to the live off the floor experience. 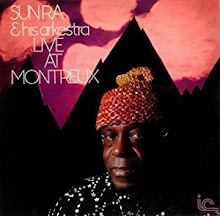 It is referred to as a nearly holographic experience in the liner notes. I must agree with that assessment. It is a rarity to hear a new age instrumental album in this format and it certainly was an indulgence. The thing about this recording is that the flow is seamless and seemingly effortless. Of course, anyone that truly appreciates how difficult it is to be a professional musician and create an album can look at the big picture. At least I have come to realize and appreciate that more with each passing year. One track invites the next and by the time it is done, and way too soon, it was like listening to one progressive composition. So, with those thoughts in place it is not hard for me to garner great appreciation for solo artists such as Fiona Joy. What makes her art so pronounced and prolific is the fact that it is just her and the piano. It is like the merging of a soul with an inanimate object that suddenly comes to life. Her quintessential life force and spirituality shines brightly through the ivory keys. It becomes up close and personal in the SACD format, almost as if the artist is in the same room performing. These attributes make it so crystal clear in sound as well is the fact that it’s only the piano with no accompaniment or additional audio enhancements. Into The Mist settles in and takes up all of your personal space in the most positive and enlightening way. This music is meant exactly for that - its vibrations, waves of colors and emotions that are interpreted through the fingers of one talented lady. I cannot say too much more; this is a must have recording for anyone that appreciates new age instrumental music influenced by contemporary classical. It is a perfect 5/5 stars.